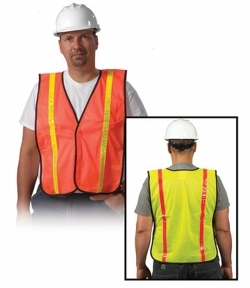 Safety Vest Standard Mesh Reflective 1 Size Fits Most is excellent for every driver and workers. Use where visibility is important, but not mandated by ANSI standards. Available in lime or orange. One size fits most.